In early April, 1921, a series of strange, unexplained events began to happen in the small town of Guyra, New South Wales. Stones were thrown at a house, seemingly from nowhere, the walls rocked with bangs and thuds and a young woman claimed to speak to her dead sister. Despite extensive investigations by police and psychics, including Sir Arthur Conan-Doyle's close friend Harry Jay Moors, the events could not be explained. The Guyra Ghost remains one of the most notorious, and famous, paranormal events to happen in Australia, and also the world. But was it a ghost? What did haunt the Bowen family? 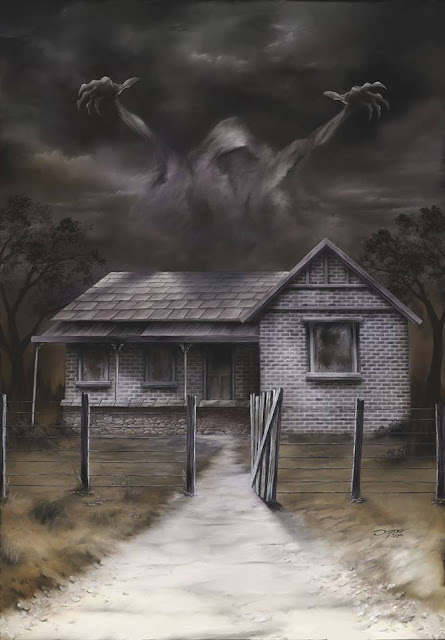 And why was 12 year old Minnie Bowen singled out by the ghost, and attacked across two towns in rural New South Wales?